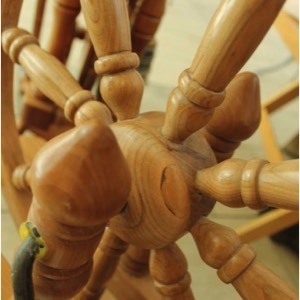 SPINNING EARTH is a Kent based cottage industry producing Designer Clothing from natural fibres, and providing Training in the use of traditional spinning techniques. 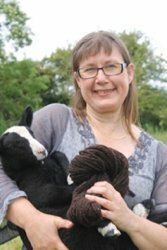 Hi, I’m Della and I set up my Designer Knitwear Company ‘Spinning Earth’ in 2013 out of my love of natural fibres. I had a desire to connect back to the Earth and create something with an Ethical, Natural and Beautiful outcome which only following the patterns of nature can create. My journey with Fibres started at the age of 12yrs when I learn to spin my own yarns from sheep’s wool on a traditional spinning wheel. Over many years I have learnt by experience the different qualities in the various breeds of sheep and other fibre sources and how those different fibre source blend and form differently in your hands. I have been a director of a community farming project in my village since 2009 and, through this, have gained many contacts of small holders and hobbyists rearing rare breeds and interesting fibre animals from which to gather my yearly stash of goodies to work from. This provides extra income streams to support local farmers by adding value to the fleeces and encourages farming methods of a mixed flock approach which graze differently, preserving habitat for wildlife. 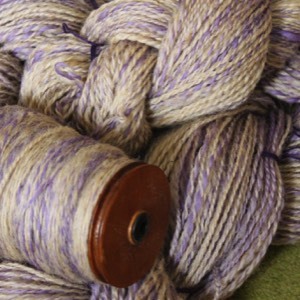 I love to form interesting textures working with natural dyes and colour blends. Using these handmade designer yarns as well as sourcing natural fibres from the mills in Britain and luxury Italian merino, I am able to mix and blend different sources of colour and yarn together to form unique fashion with love in every stitch. 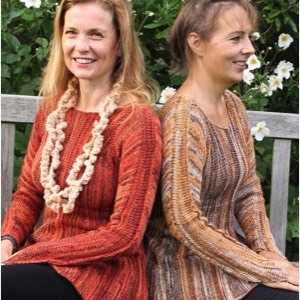 Please see individual garment examples in my designer knitwear page. New training courses are available in our Shop now.